My favorite part about Fridays? 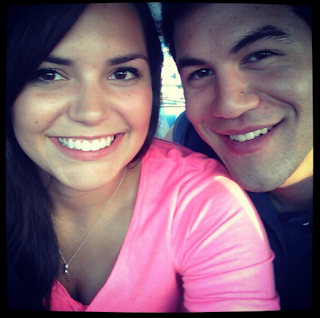 Other than knowing I get to sleep in on Saturday, I love that Friday is date night. Date night for us doesn't mean an expensive dinner and a night on the town - we're much more low-key than that. Takeout, a casual dinner at our favorite dive or a Redbox movie marathon are some of our favorites. 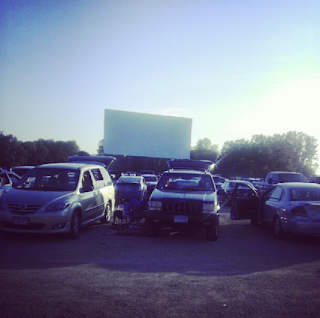 This past Friday, we tried something different - we headed to the drive-in theater. We packed up the car with pillows and blankets, picked up a pizza and some beverages and headed to the theater. Comfy and cozy laying in the back of the Ford Explorer, I realized I had found my new favorite date night activity. The perfect mix of relaxation and good ole' American nostalgia, we're hooked. If you haven't been yet, I recommend it before the summer ends!